Fall is just beginning in the lower elevations. There is a dusting of snow on the mountain tops. The fields have been harvested and now lie dormant, resting through winter. Torn Art paper (K and Company designer paper by Susan Winget). Glue stick. 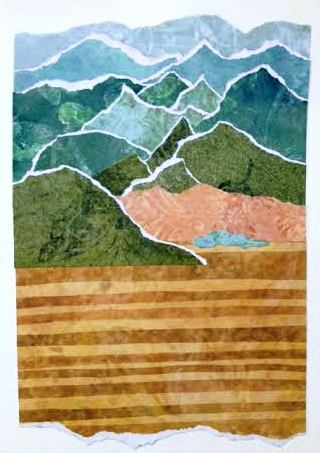 This entry was posted in art journal, Artwork, Collage and tagged mountains. Bookmark the permalink.